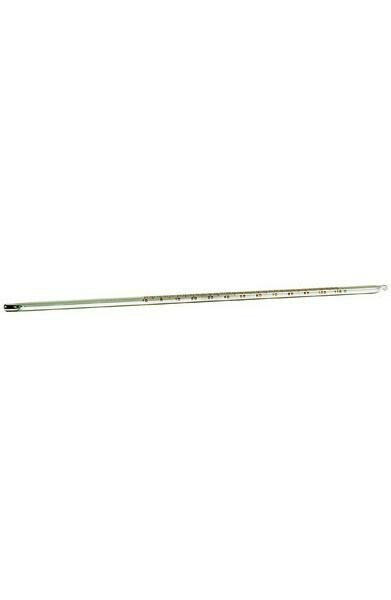 Produktinformationen "Alcohol Thermometer Range: -10°C ÷ +110°C, Accuracy: 1°C"
Measure temperature. Those mercury-free thermometers allow simply and accurate temperature measurements. The use of alcohol instead of mercury guarantees safety and non-toxicity even in case of accidental breakage of the thermometer. Available with different ranges and accuracies. Weiterführende Links zu "Alcohol Thermometer Range: -10°C ÷ +110°C, Accuracy: 1°C"
Garantie(Jahre) "Alcohol Thermometer Range: -10°C ÷ +110°C, Accuracy: 1°C"
Kundenbewertungen für "Alcohol Thermometer Range: -10°C ÷ +110°C, Accuracy: 1°C"